Australian researchers have found the world's oldest fossils, revealing that diverse life forms thrived on Earth 3.7 billion years ago. 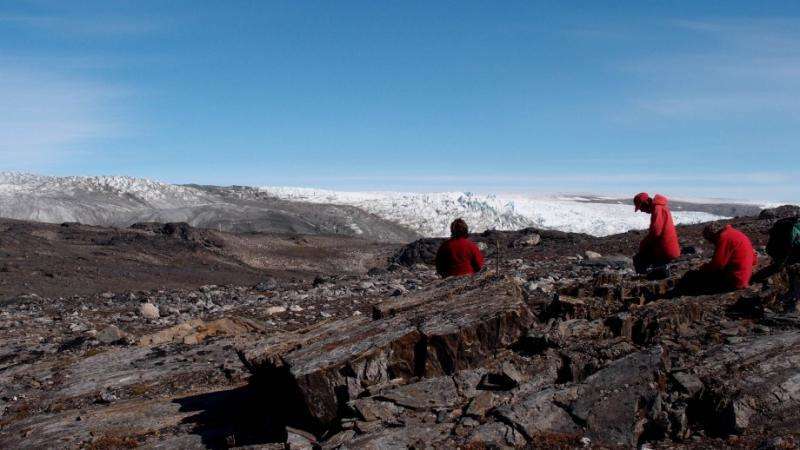 Co-lead investigator Associate Professor Vickie Bennett from The Australian National University (ANU) said the research on stromatolite fossils found in Greenland provided a greater understanding of early habitats of life on Earth and could have implications for searching for life on Mars. "This discovery turns the study of planetary habitability on its head," said Dr Bennett from ANU Research School of Earth Sciences. "For the first time we have rocks that we know record the conditions and environments that sustained early life. Our research will provide new insights into chemical cycles and rock-water-microbe interactions on a young planet." The research, published in Nature, involved the University of Wollongong (UOW), ANU and the University of New South Wales (UNSW). Co-lead investigator Professor Allen Nutman from UOW said the stromatolite fossils, found in the Isua Greenstone Belt along the edge of Greenland's icecap, predated the world's previous oldest stromatolite fossils from Western Australia by 220 million years. For much of Earth's history life was just single cells, and stromatolite fossils are mounds of carbonate constructed by these communities of microbes. "This indicates that as long as 3.7 billion years ago microbial life was already diverse. This diversity shows that life emerged within the first few hundred million years of Earth's existence, which is in keeping with biologists' calculations showing the great antiquity of life's genetic code." The discovery pushes back the fossil record to near the start of the Earth's geological record and points to evidence of life on Earth very early in its history. The Isua stromatolites - exposed by the recent melting of a perennial snow patch - were shown to have grown in a shallow marine setting providing the first evidence of an environment in which early life thrived. 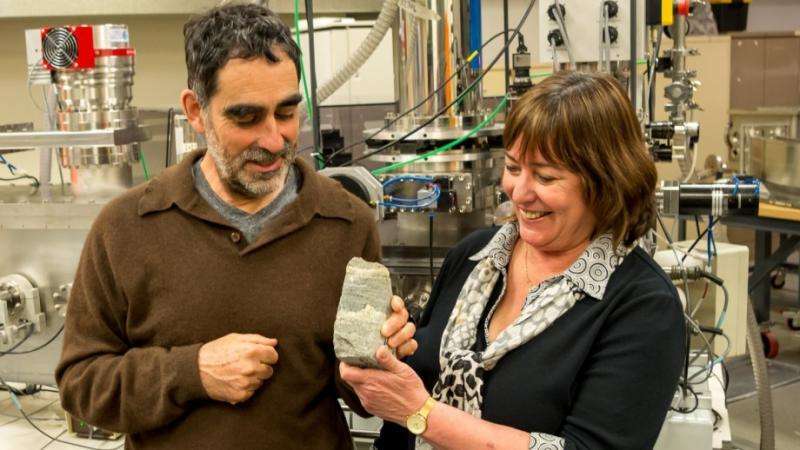 Professor Allen Nutman and Associate Professor Vickie Bennett holding a 3.7 billion year old rock containing stromatolites. Credit: ANU. 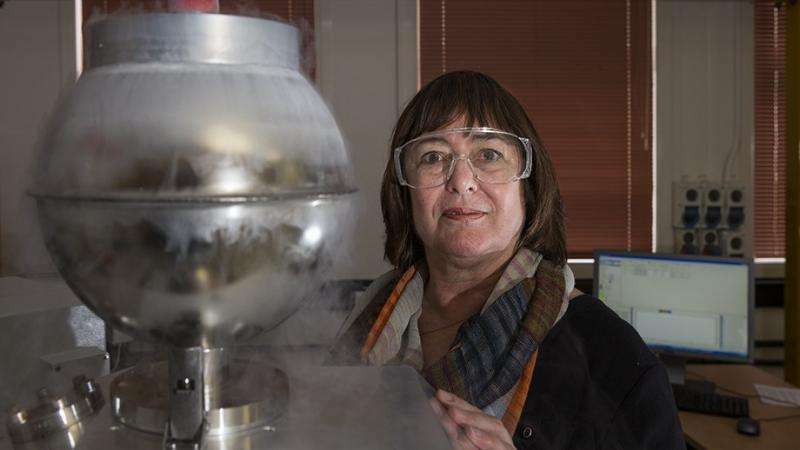 Co-researcher Professor Martin Van Kranendonk, Director of the Australian Centre for Astrobiology at UNSW, said it was a ground-breaking find that could point to similar life structures on Mars, which was a damp environment 3.7 billion years ago. The research, conducted by the Australian science team in collaboration with a UK partner, was funded by the Australian Research Council.